Trying to determine whether their dog is pure bred is something many owners attempt. While a DNA test will determine the breed definitively, there may be some characteristics of the breed that will help. 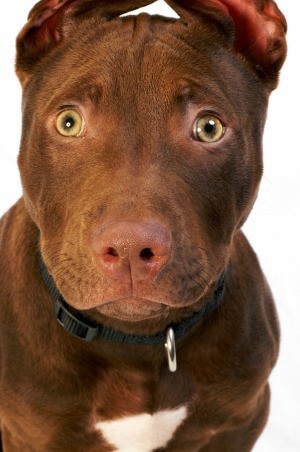 This is a guide about "Is my Pit Bull full blooded?". Question: Is My Pit Bull Full Blooded? I was told he was a pure blood fawn blue nose Pit. I've had him since he was about 6 weeks and he is now 6 months old, but his legs haven't gotten very much longer. He is very muscular however and weighs about 45 pounds now. Here are some pix. These are my Pit Bulls, are they full blooded? Question: Is My Dog a Full Blooded Pit Bull? 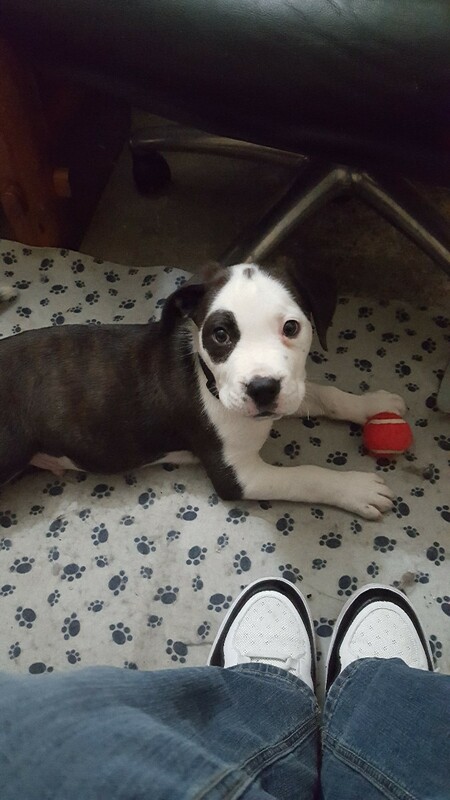 I just got her a couple of days ago and I'm not sure if she is a full blooded Pit or what kind she is. 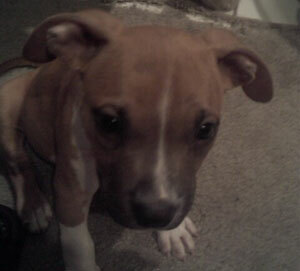 I am trying to find out if she full blood rednose Pit Bull. Question: Are My Puppies Pure Bred Pit Bulls? 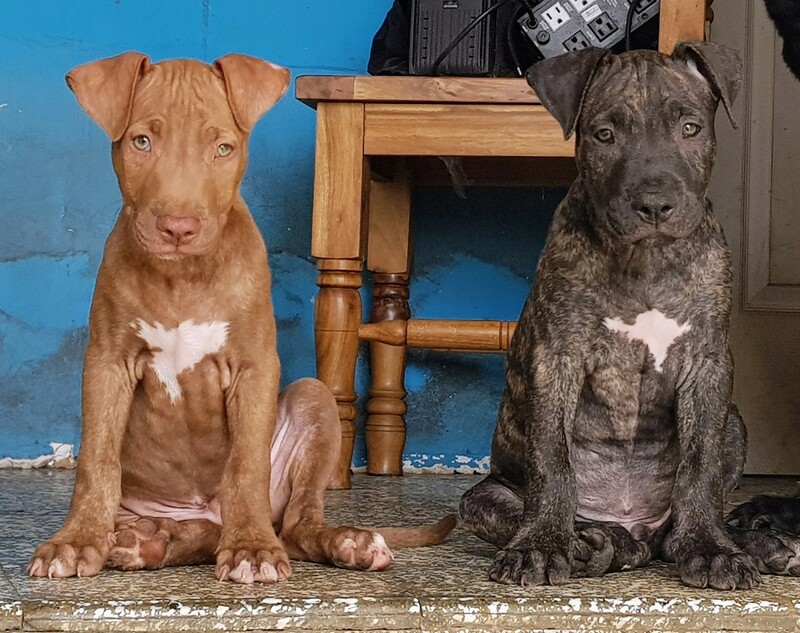 I adopted two puppies that look like they are Pit Bulls, what do you think? 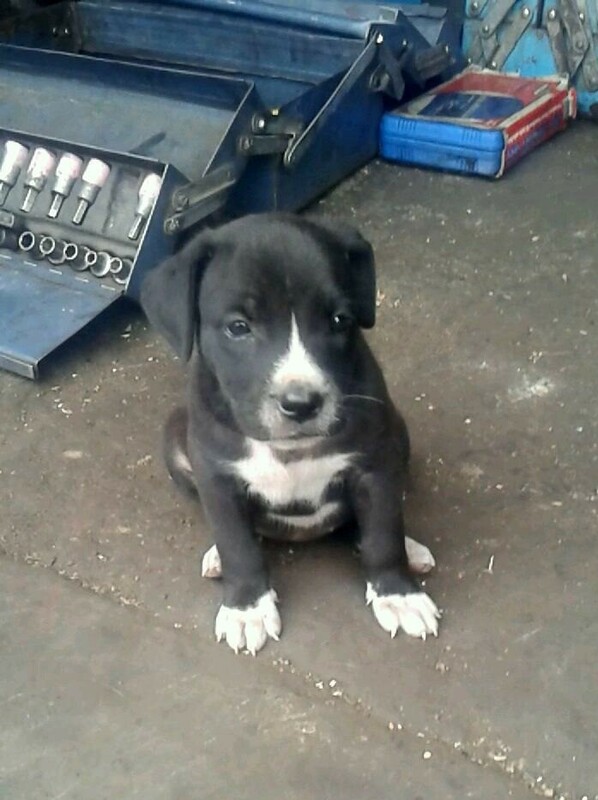 I am about to buy a full blooded Pit Bull puppy, but I have my doubts about the puppy's mom. 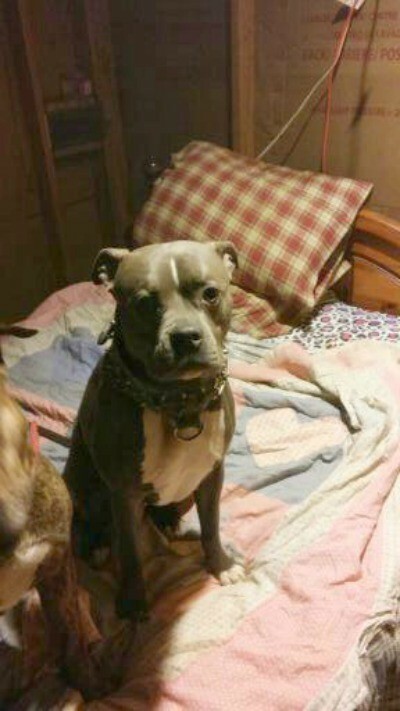 The mom is supposedly a brindle red nose not registered and the dad is a APB registered blue nose Pit. I saved her from a abandoned house a couple of months ago. 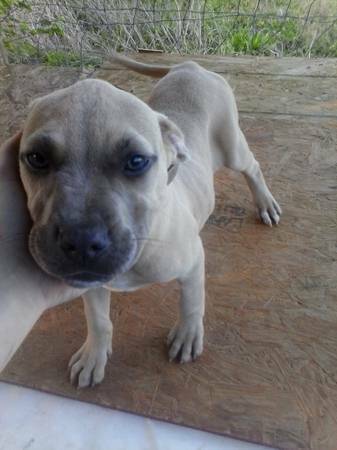 I got her a little more fat, but I want to know if she is a real Pit Bull so I can mate her with my friend's Pit that has papers from the American Kennel Club. Here are photos of his sisters and brother. 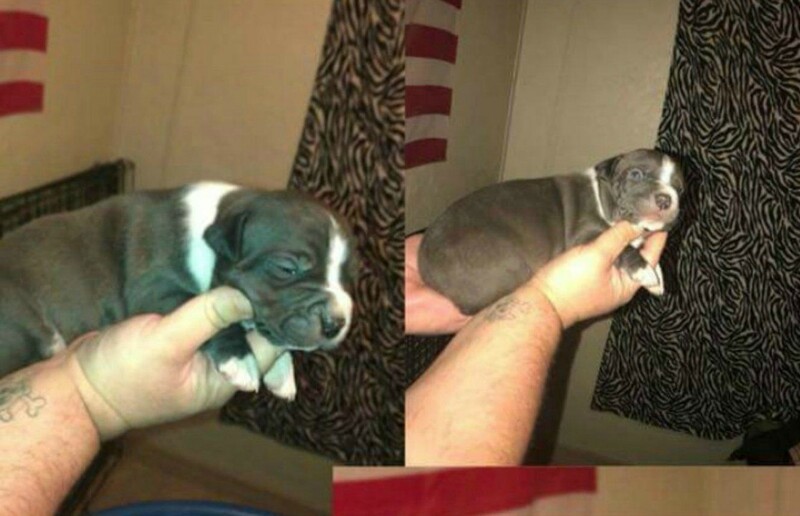 The adult red nose is his dad and the adult blue nose is his mom. Can any one help me? 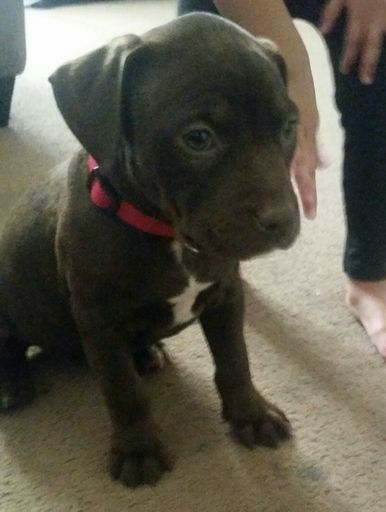 I have a pit bull puppy and I need to know. This lady sold me this dog. I've seen the mommy, but not the daddy. Everyone tells me he looks like a real Pit, but I don't really know. Maybe you can help me out. He's 7 months and the one at the bottom is the mother and the other is of his siblings. Question: Are My Pit Bulls Full Blooded? I think they're full blooded, but I just wanted someone else's opinion. Question: Is My Puppy a Pure Bred Pit Bull? 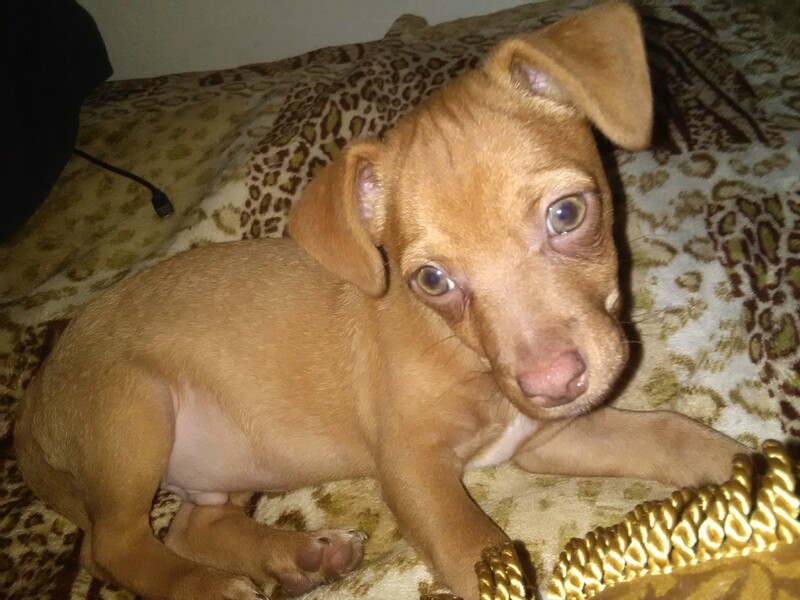 Does my puppy look like a 'Pit Bull or a Pit Bull mix? He is a rednose. I found him 2 weeks ago on my way to school. I don't know anything about him. Question: Is My Puppy a Pit Bull? 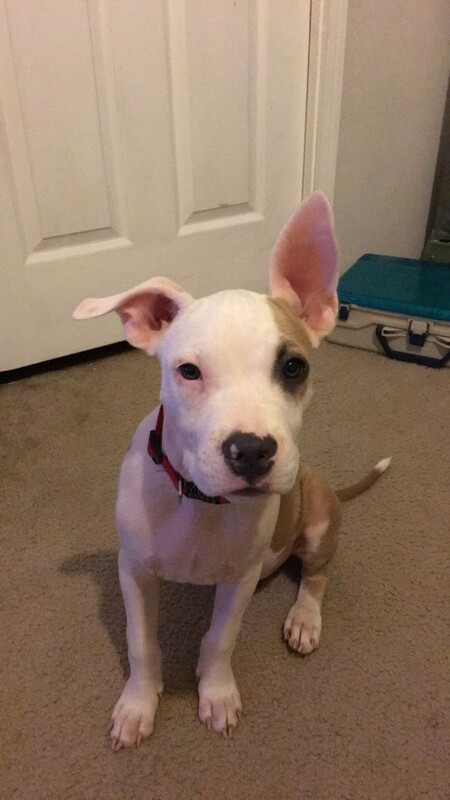 Is my puppy a Pit Bull? Question: Is My Dog a Pure Bred Pit Bull? 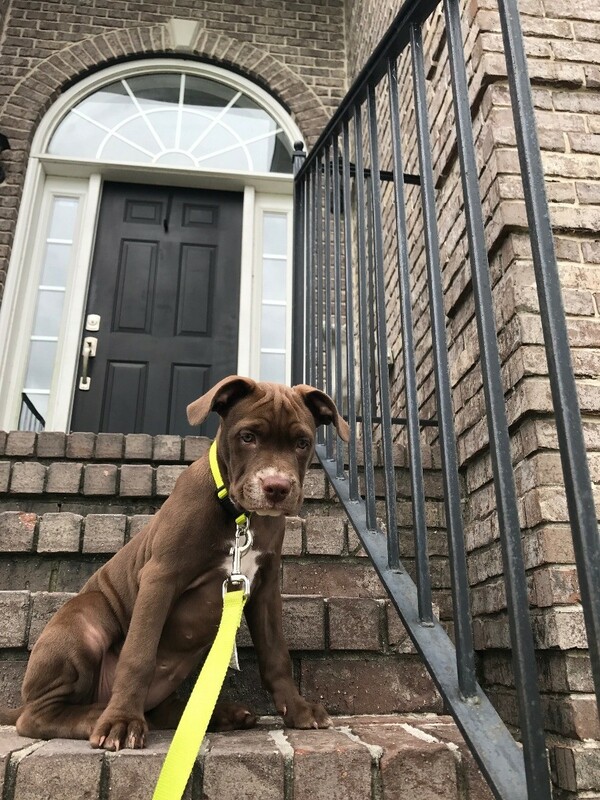 Does my pup look like a Pit Bull or a mix? He's supposed to be a purebred. I don't see it. Do you? He is only one month and 20 days old. 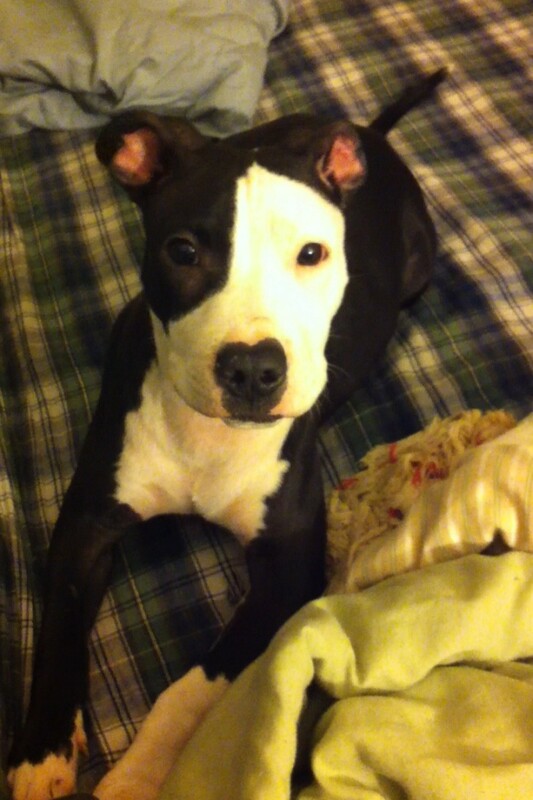 Question: Is My Puppy a Pure Bred Pit? I've had her since she was 2 wks. 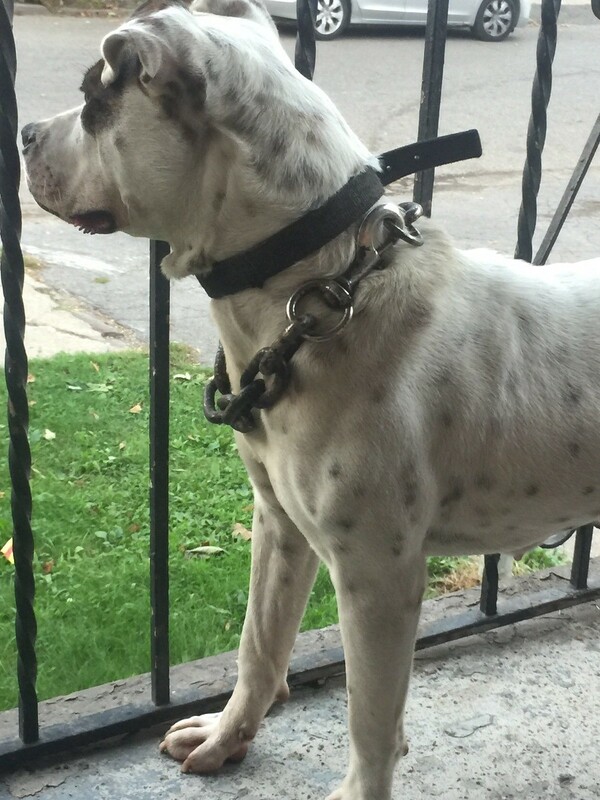 Her mom is definitely a pure bred, but I was told the father was a brown and white taller bully, but I am unsure of the owner's honesty. Her mother was supposedly not feeding which I believe because she was very sluggish. She is 12 weeks old now! 1 image is her mom. 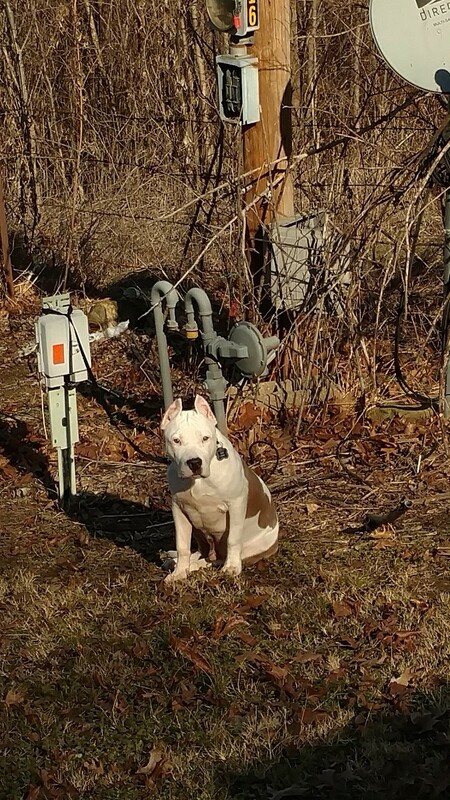 Does my dog look 100% Pit Bull? 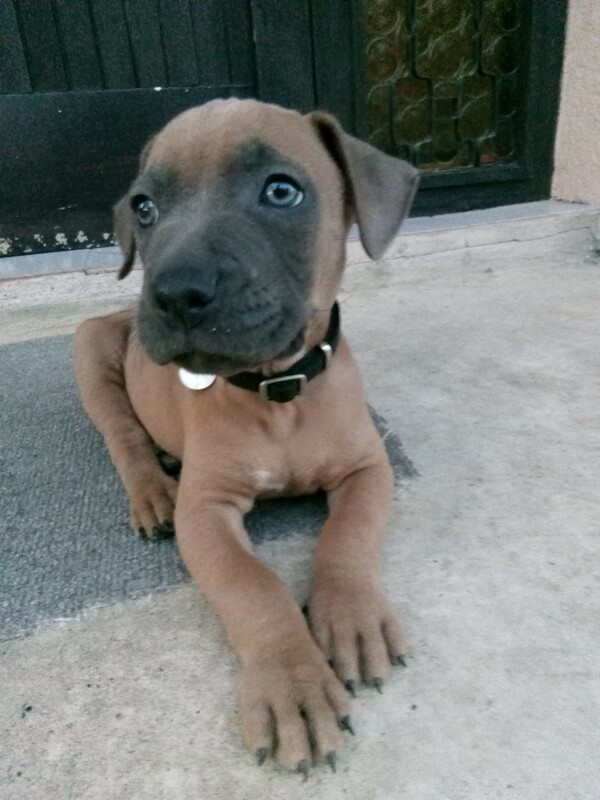 According to the breeder her mother was a red nose and her father was a blue nose. 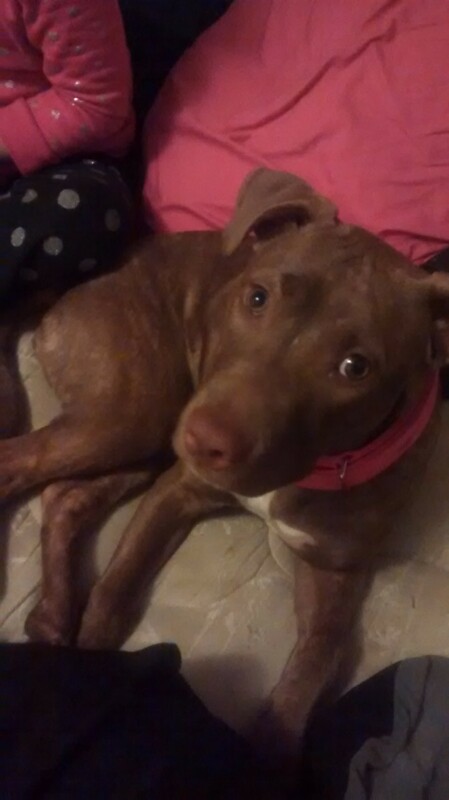 Does she look like a pure Pit? Another problem, she's 6 1/2 months old and according to the vet and she's 16 pounds. 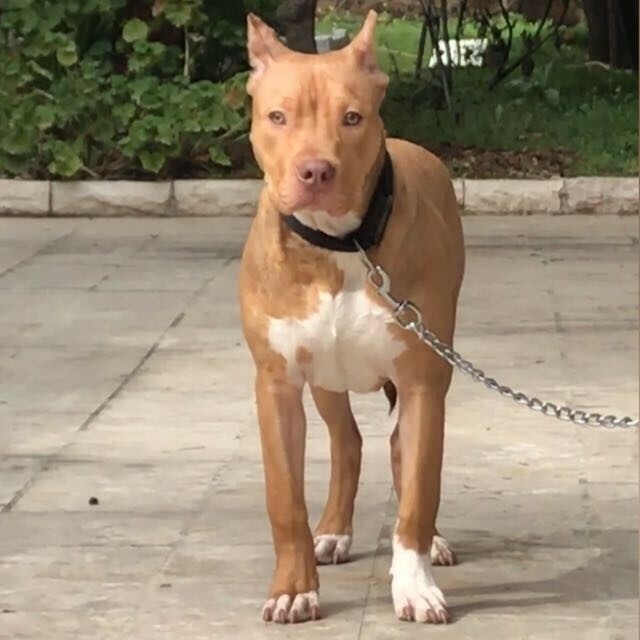 Is my Athena a pure bred Pit Bull? We were told she was. If so what blood line do you think she is? 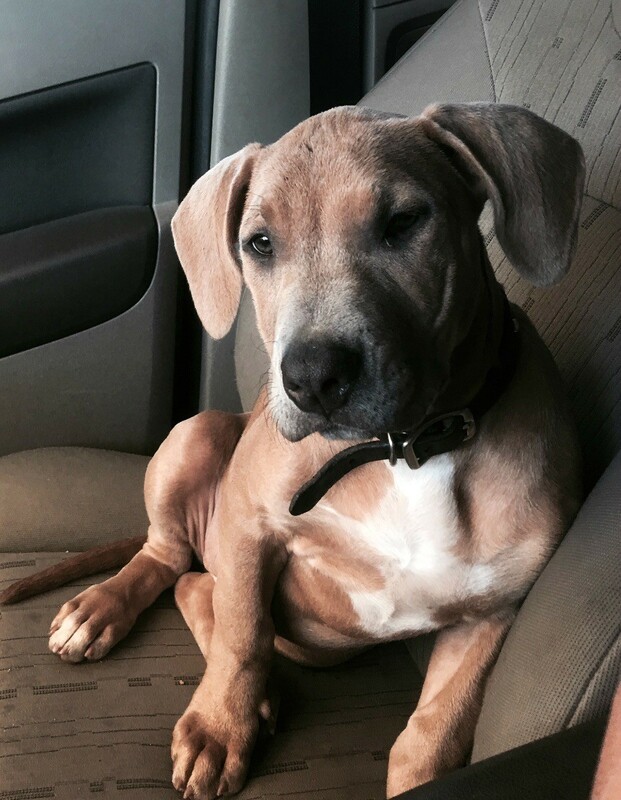 Is my puppy a full blooded Pit Bull? I think she is. She's suppose to be, but I don't even know what her parents look like. We purchased Lilli as a 7 week old puppy and she is now 2 years old. 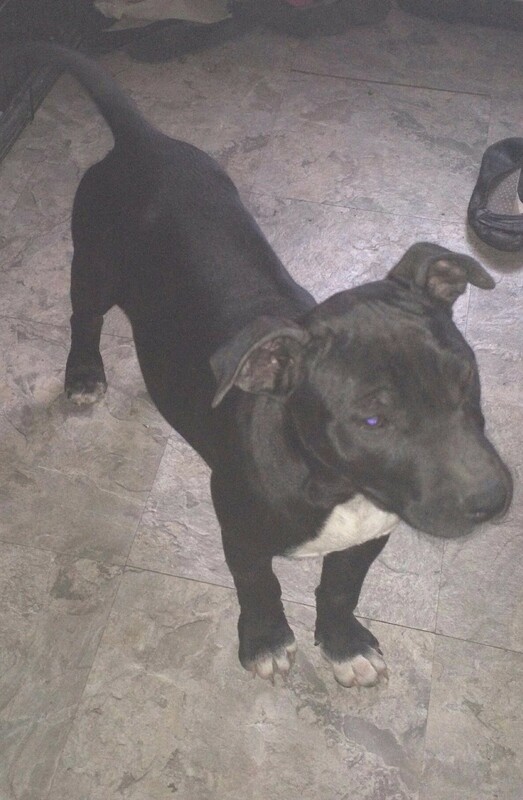 The young man we bought her from had 4 adult full blooded Pit Bulls and 2 litters of puppies. 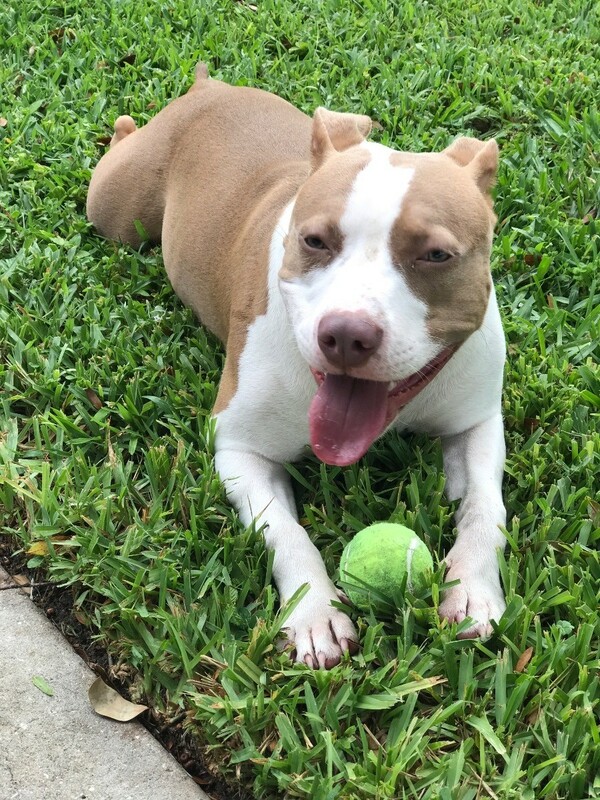 My husband has doubts about her breed, but I believe she is a full blooded (or nearly) Staffordshire Terrier. Question: Is My Dog Full Pit Bull? 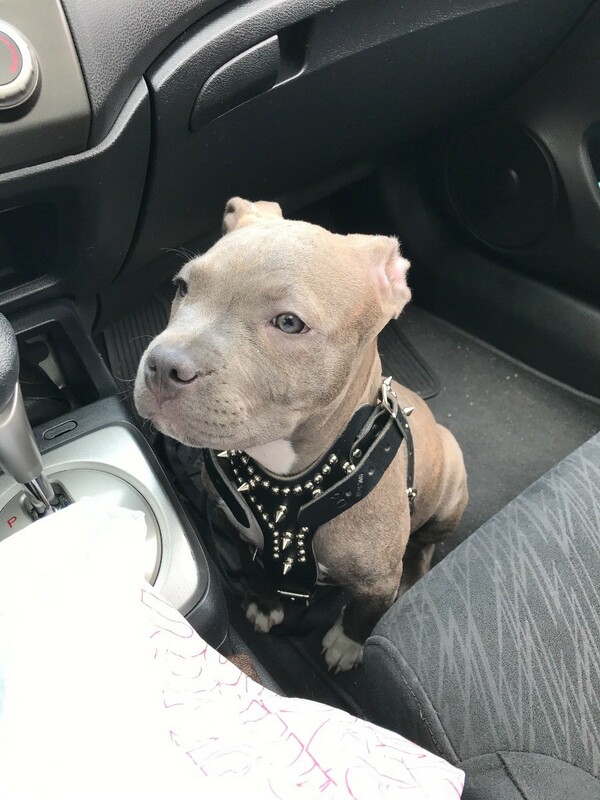 Does this dog look full Pit?